The Kinnaur Kailash also kown as Kinner Kailash in the local dialect is a mountain range in the kinnaur district of the most exemplary Himachal Pradesh. Kinnaur Kailash (6349m) and Jonkarden (6473m) are the most famed peaks of Himachal that dominate the range bordering the district of Kinnaur in the south. Through the routes of Kinner Kailash Trek, the expeditors can achieve the only pass called Charang La at an altitude of 5300m. This pass is considered as sacred by both Hindu and Buddhist Kinnauris. 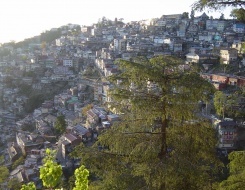 The entire trek path is endowed with lush green valleys, orchards, vineyards snow-clad peaks and cold desert mountains. The Kinnaur region is being gifted with rich flora & fauna and the massive snow clad ranges serve a regal dignity to the scene dominated by the peak of Kinner Kailash. The landscape of the region differs from the lush green orchards of the scenic Sangla Valley to the bleak magnificent Hangrang valley. May to September is the most preferable time to make a trip to the enchanting Kinnaur kailash. Upon arrival at Delhi met our representative and then transfer to hotel for overnight stay. 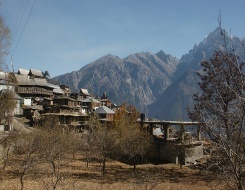 On second day, we drive through Kufri, Narkanda and Kinner Kailash Trekking Rampura mainly on metalled roads, through dense forest to reach Kalpa. During this season the fragrance of Applesis enticing and luring enroute. is home to some of the best apple and chilgoza orchards in the world. It also offers a breathtaking panoramic view of the 6000 m high Kinner Kailash range. 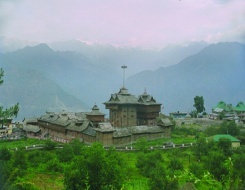 Overnight in Kalpa. Bon-fire in the evening. Overnight in camp. We drive over Kunzum Pass 4551 m and Rohtang Pass 3978 m.Kinner Kailash Trekking Tour Reach Manali. Check into hotel.